The Breastest News: Explore the deep with the Sea Creatures Tour now in Edinburgh! Explore the deep with the Sea Creatures Tour now in Edinburgh! We're big animal lovers in our house with a thirst for knowledge and understanding of how the animal kingdom thrives. I remember watching countless videos of David Attenborough narrating a Killer Whale hunt back when I was in primary school and the fascination of the deep blue sea has never left me. Throw in a hubby, son and daughter who are also fascinated by ocean life and you can just imagine the excitement then when we were invited along to the jaw dropping Sea Creatures Tour at the Royal Highland Centre in Edinburgh. The most fascinating Sea Creatures Exhibition is now in Scotland for the first time ever at the Royal Highland Centre right next to Edinburgh Airport (so it's really easy to find). 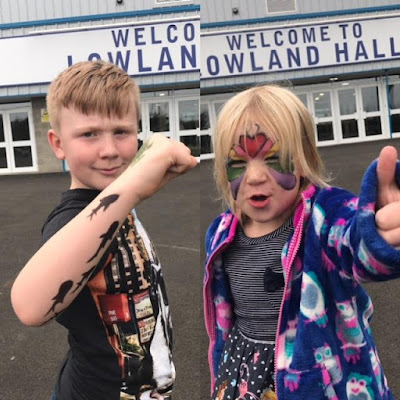 The exhibit takes place in the Lowland Hall, which is right next to Secure Airparks to give you an idea of location, and it's a big open space in which to view these amazing animals. This exhibition is packed with 50 full body, real specimens, 150 body parts and organs and an interactive digital show. 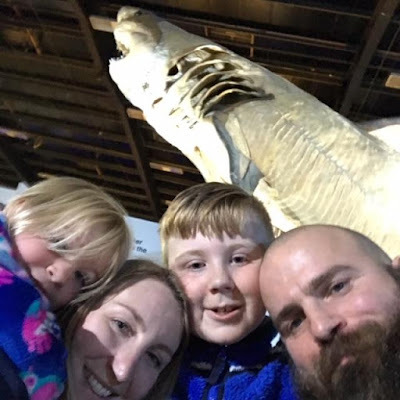 Sea Creatures are inviting family audiences to explore and truly understand marine life, conserving marine species and raise awareness of marine conservation. It was good to hear that all of the animals had been collected ethically (i.e. died of natural causes and donated) and that none of them were taken from their natural habitats. Raising awareness and conservation efforts is a great achievement for this event considering a lot of the animals on display are quite endangered in the wild. As well as the beautifully majestic sea creatures on display there is an interactive Augmented reality APP to get involved with. Simply download the app and scan the creatures as you explore the deep. Can you collect them all!? 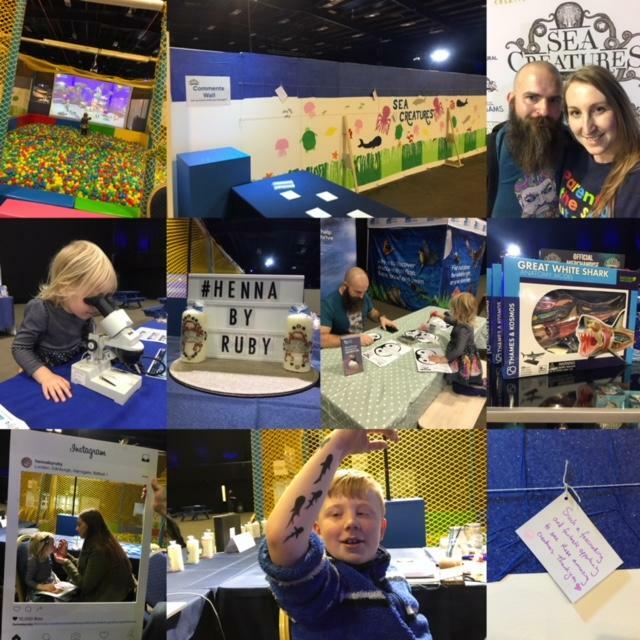 As well as the cool app there's an immersive 9D Virtual Reality experience, double world record minke whale on display, interactive ball pit game for kids, magical walk through holographic gates, a cinema, face painting, henna and loads more. Some of these activities come at an extra cost, such as the face painting, but there's no pressure of course . So much to see, do and learn all in the one place. Never in human history has our appetite for knowledge about the blue planet been so inquisitive and I can tell you now that my kids absolutely loved it! 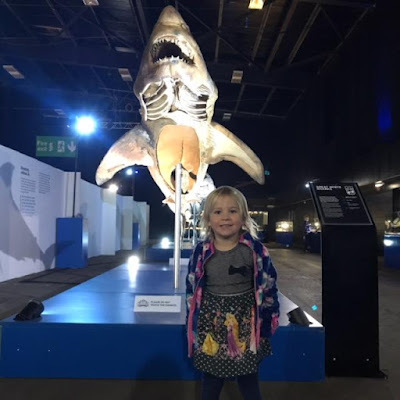 From 21st September to 18th October 2018 you and your family can visit the Sea Creatures: Life Beneath The Ocean tour and see exactly for yourself why it's a once in a life time opportunity not to be missed. Once it's gone that's it so I highly recommend paying a visit if you can. 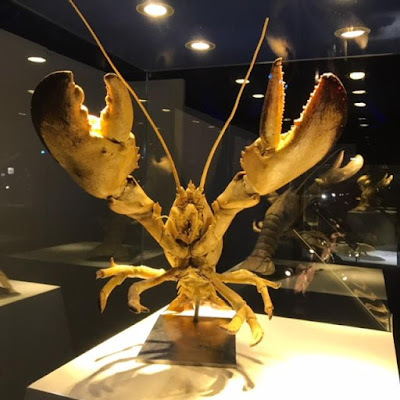 To celebrate the launch of this unique Exhibition, Sea Creatures are offering kids go free tickets. One free child ticket with every full paying adult! 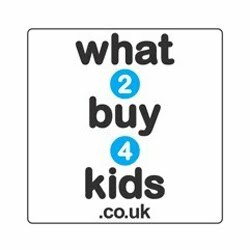 There is no catch, just visit the tickets website and click through to buy tickets and select the ticket that says 'ADULT with KIDS GO FREE TICKET'. You better be quick though before they're all gone as it's for a limited time only. I honestly cannot recommend this event enough. If you get the opportunity please do visit, you won't regret it. The family and I spent a good 3 hours going round the exhibit when we visited and I could have stayed longer there was so much brilliant information and facts to discover. My son, who as you know loves a good fact, was in his element and the virtual reality experience plus some face painting totally made his day. He was buzzing! Miss madam chops also thoroughly enjoyed the whole event with the penguins feeding her curiosity as well as the interactive ball pool, drawing stations and sand pit keeping her very happy. A brilliant experience for all the family. We were invited to view this exhibition in return for an honest review. 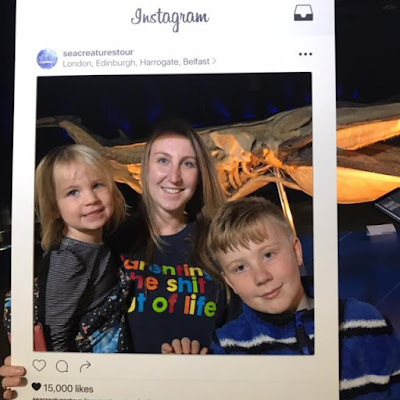 0 comments on "Explore the deep with the Sea Creatures Tour now in Edinburgh!"